1920-S Buffalo Nickel 5C - PCGS AU Details - Rare Date - Scarce Date Coin! 1916 Buffalo Nickel – Choice Uncirculated (ANACS MS62) ! 1918-D Buffalo Nickel 5C - NGC Uncirculated Details (MS UNC) - Rare Date Coin! 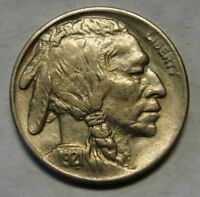 1921-S Buffalo Nickel 5C Coin - ANACS XF40 Details - Rare Date - Scarce in EF! 1921 S BUFFALO NICKEL, PCGS F15, BEAUTIFUL ORIGINAL SURFACES, SHARP DETAIL!